You already know how important social media is for increasing your bottom line. Many people, though, find getting started on social media very daunting. 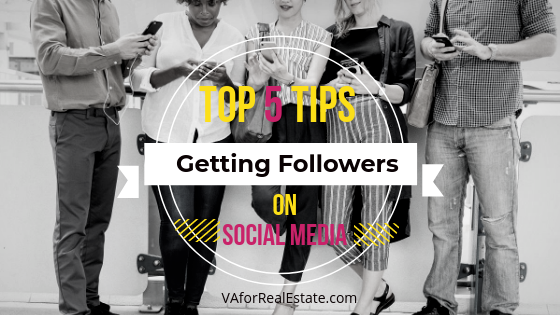 With all the different options and ways to get followers, it’s easy to quickly get overwhelmed. Here are the top five tips you can get more social media followers and building your business brand. Create Strong Profiles and Pages – The best way to start growing your audience on any of the social media platforms is to create strong profiles and pages for your accounts. You need to include branded cover photos as well as profile photos, and detailed descriptions of your business. Share Quality Content – An important part of getting more social media followers is to create and share high-quality, value-added content. Give your audience the kind of content they’re looking for. This can include blog content, videos, podcasts, infographics, and presentations. Content creation can be time-consuming. Set aside an hour or more every week to create interesting content. If your calendar is too full, find a professional to help. Link It! – Be sure to include links to all your social media profiles on your business website. Likewise, include your site link in all your social media profiles. It will also help to add links to your top social accounts in your email signature. Adding these links will help you to broaden your reach and exposure. Use Friend-Finding Features – Most of the social media networks provide ways for you to connect with other people you know. When you first start using social media to build your brand, ask people you know to follow you. By having them like and follow you, you gain more exposure to a broader audience base. Don’t be afraid of your competition. After all, they’re already connected with the audience you want exposure with. Growing your social media followers is easy to do but will take some time. The more effort you put into creating valuable content for your target audience the more followers you’ll get. This gives your business a broader audience and brand recognition. 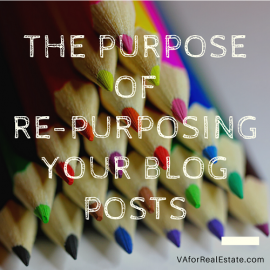 What’s the Purpose of Re-Purposing Your Blog Posts?